For those casual days a long sleeve sweatshirt is an easy option to wear with jeans or joggers. 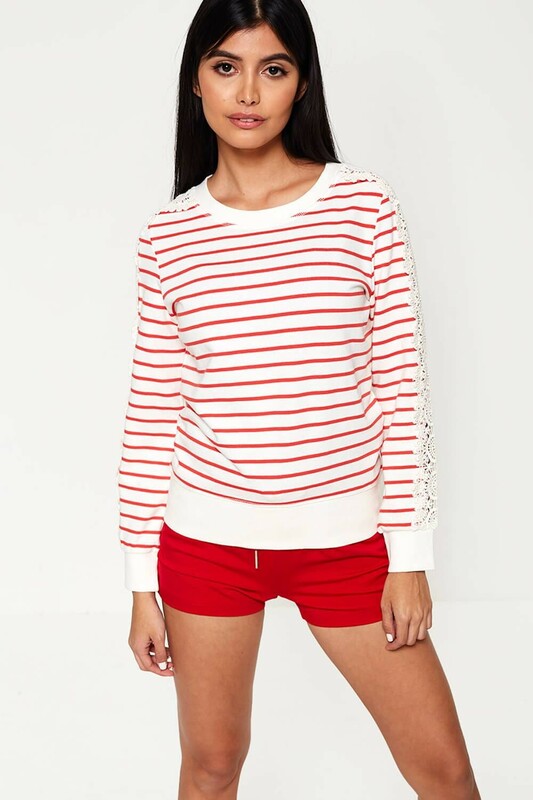 This super soft cotton sweater in a classic red stripe design with crochet detailing for a modern twist. Team denims and trainers for an effortless casual look.